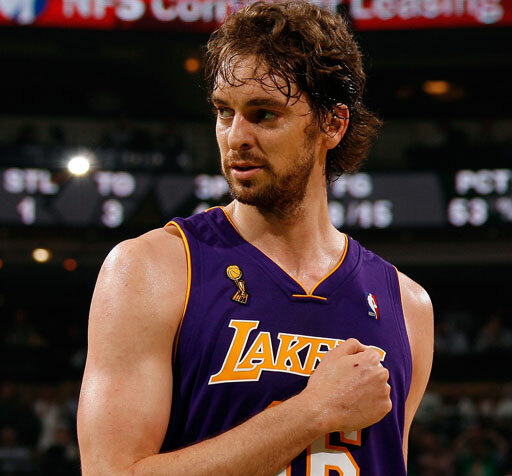 BiE supposes that Los Angeles Lakers fandom will have to tone down the muttering about Pau Gasol for a bit. In a clutch performance for the Lakers in their 88-87 victory over what might just be the Spaniard’s future club, the Boston Celtics, Gasol finished off his 25-point, 14-rebound with a hustling, instantly YouTubeable block of Ray Allen’s last-second shot in overtime. “I’ve been in situations before in my career where you freeze … catch yourself looking at the ball and end up losing the game,” Gasol told reporters after the game. This wasn’t one of those situations, then. Pau should have been an all-star. They gave it to Dirk because of what he did last year but the All-Star game is about who is having a better season this year and Pau is having a much better season.